Thank you to De Roos for sending one of these sets for review! IT IS SO NEAT. 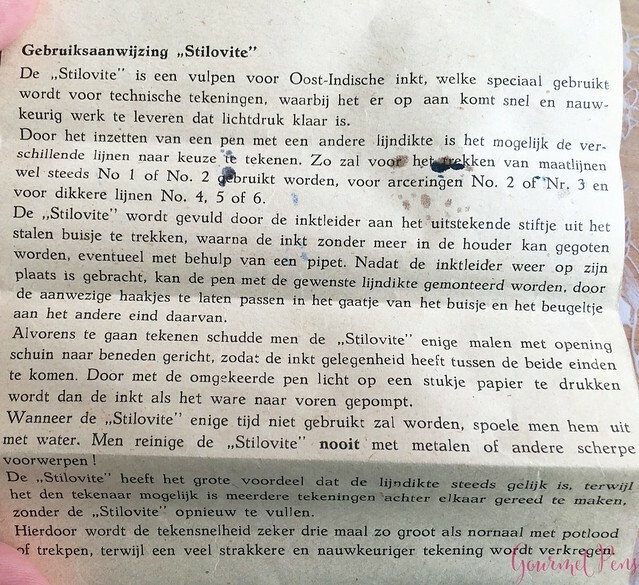 These Stilovite sets were made in the 50s for technical drawings, drawing lines, and shading surfaces, and this set was made in Holland! Length (uncapped nib-end): 101.0 mm/3.97"
This drawing set was packaged in a small, slide out box. 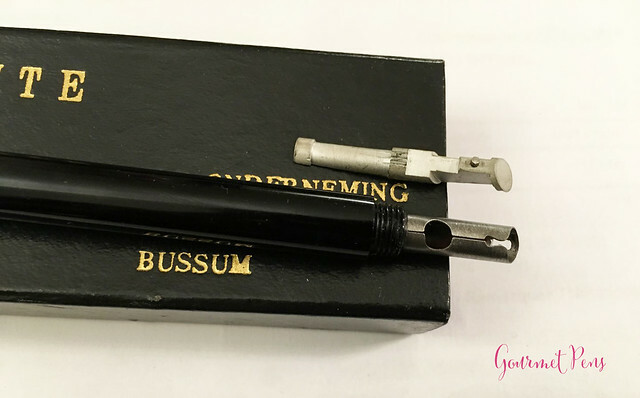 The nibs are held in place on a cardboard bed with slots to hold them in place, and the pen itself is loose on the side. There is also a small, thin manual that comes with it. It's cute, simple packaging for a cute, simple drawing set. The Stilovite drawing pen is very simple in appearance and design. It is a round, fairly slim pen, not too long, with slightly rounded off ends. The body and cap are black metal, with recessed threads at the end of the barrel. The cap is short, and uncapping it reveals the "feeder" system - a thin metal tube. The manual is so neat, printed on very thin paper, and taking up very little space. There are eight metal nibs in total, all of which have two metal plates that create the ink reservoir. They all click into place on the end of the feeder section. Each nib offers a different line width. The nibs with the rounder tips are used for shading, and are written with straight on the tip. The lines are not as wide as with the other six nibs, which are used on the edges for thick and thin strokes and lines. My favorite nib was the #6, which offered the widest strokes, and the round tip because it produced equal lines no matter how it was written with. 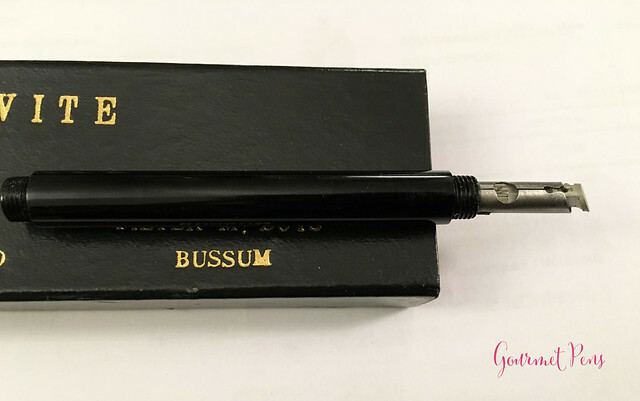 It took me awhile to really master this pen, which is why this review has taken me so long to get up! I flushed the system and have tried several inks, ranging from India Ink (which it is supposed to be used with), to inks like Platinum Carbon Black, J. Herbin Anniversary Inks, Pelikan 4001 Royal Blue, and some others. 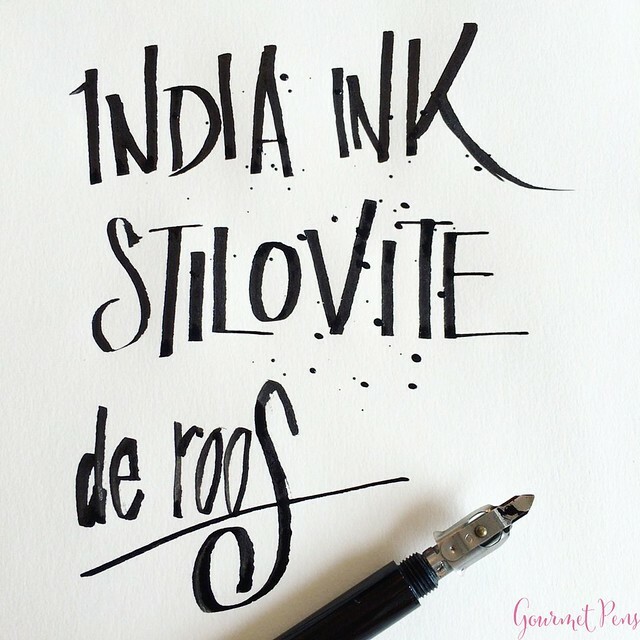 India Ink offers the most solid ink flow for lettering, and it was quite consistent. 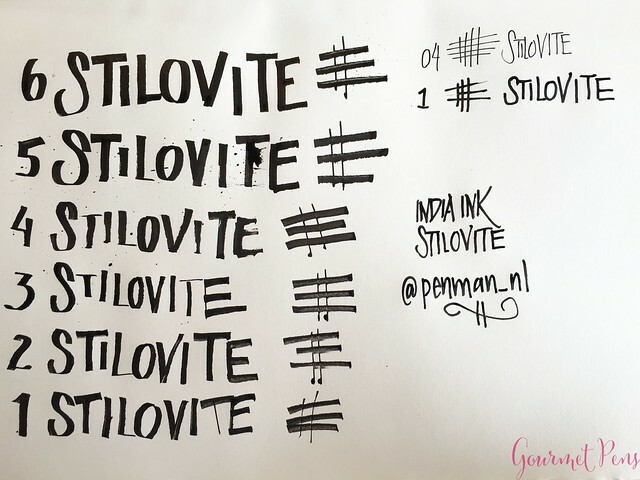 If it runs dry, Stilovite recommends flicking the barrel lightly to get ink flowing again, which works very well. Of course, this means you can splatter some ink, so do so with caution. I do not intend to and have not used this pen for real technical drawings (because I do not do technical drawings!). 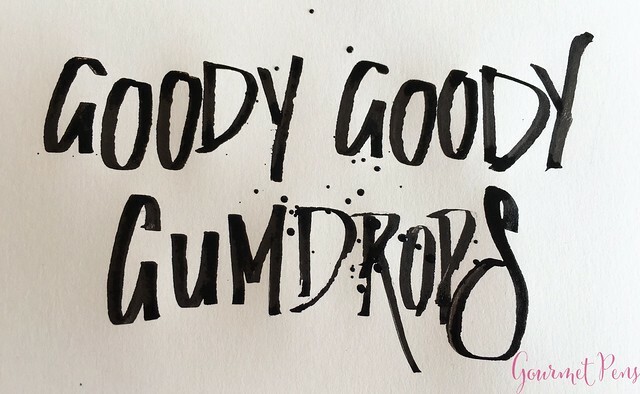 I mainly use these nibs in a calligraphic/hand lettering style - mostly broad, messy, inky strokes. As such, if you plan to use this kind of set as it was intended, your miles may vary. 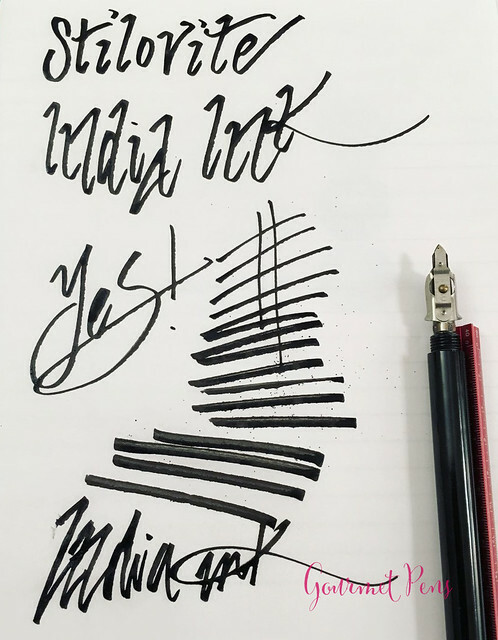 I want wet ink flow and 95% of the time, ink flow was generous. I really enjoy this set!! The barrel is filled with an eyedropper/pipette. There is a metal piece that must be removed from the section to access the inside of the barrel. Easy to fill, easy to clean. In hand is not very exciting. There's no clip, there's no real designated section - it's just the barrel, and it's small, slender, and all metal. Not the most comfortable thing to use, but I don't imagine anyone would be using this for extended writing sessions. The one thing that I dislike is that I have to remove the nib every time I want to cap it! It must be used posted because unposted, it's way too short, but when it is posted, it has a nice weight and a comfortable length. Quite simple: fun, but can be messy. 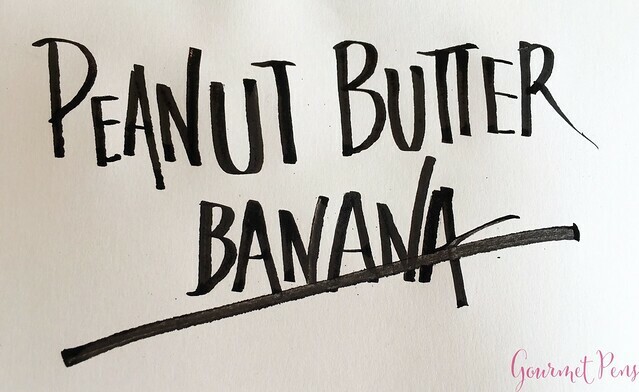 Of course, you also cannot see how much ink you have left, you have to re-cap the pen every time, which means removing the nib, and it can run a bit dry, but it's all worth the fun. 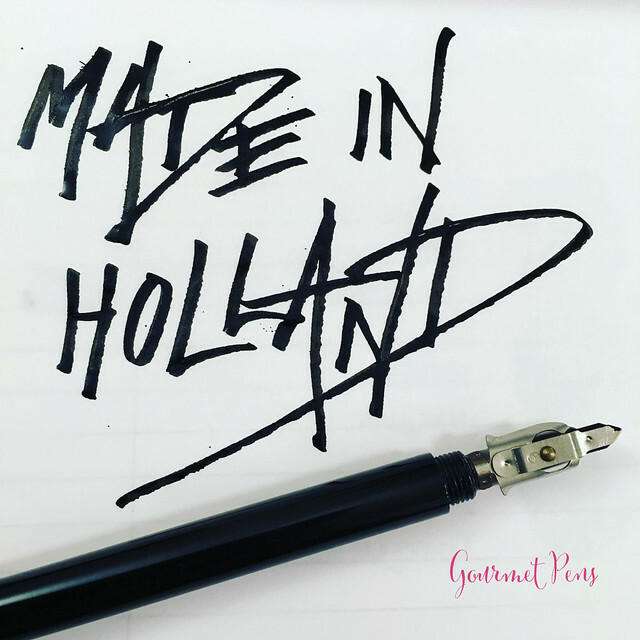 For € 14.99, I think this is completely worth it if you enjoy ornamental nibs and calligraphy/typography/hand lettering. It's a lot of fun to experiment with, and you can create some really fun stuff! 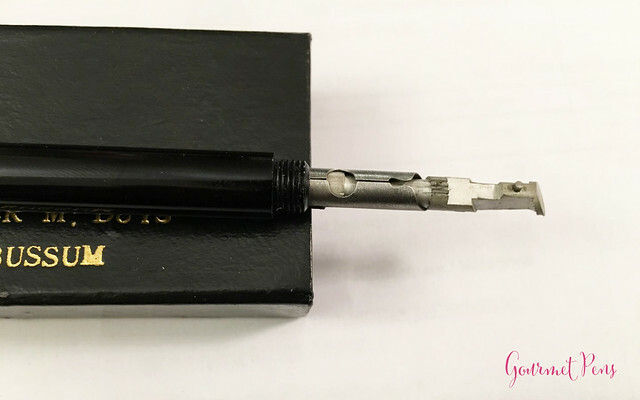 There is some maintenance involved, especially if you use India Ink - it can dry out and plug the feed, but it can also fairly easily be cleaned.